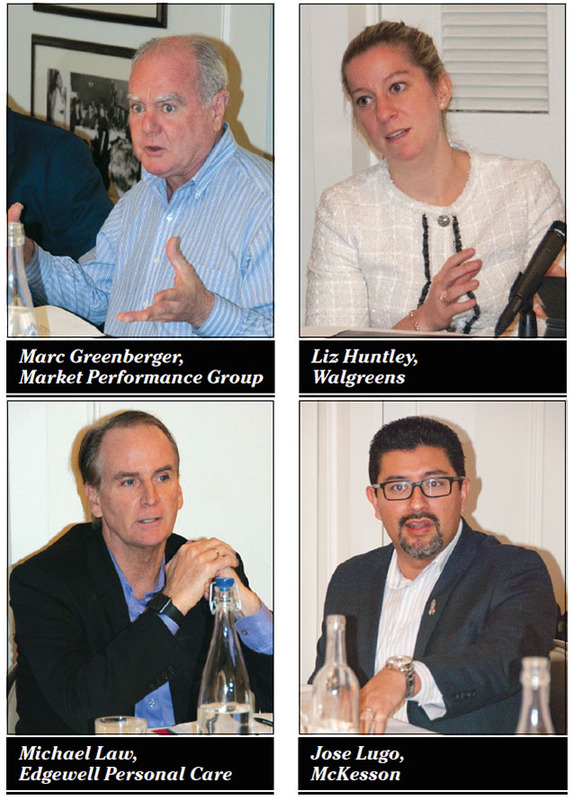 NEW YORK — The increasing complexity of today’s consumer is making it ever more difficult to tailor stores to shoppers, retailers and suppliers said at the 2016 Chain Drug Review Category Management ­Roundtable in Manhattan. The discussion was moderated by Jeffrey Woldt, editorial director for Chain Drug Review and vice president at Racher Press Inc., and MPG’s Bob Candelora, chief executive officer of retail insights; Marc Greenberger, managing partner; and Dave Van Howe, senior vice president and retail advisor. A concomitant challenge, said Liz Huntley, senior director of merchandising transformation and category portfolio strategy at Walgreens, is making sure different shoppers are being targeted in an authentic way. Retailers have to get away from just checking the box and putting products on a shelf for a particular group, she said. It’s easy to stereotype, Eason said, “but the lines are blurring.” Baby boomers, for instance, are thought of as circular readers, but actually they are becoming digitally savvy. So chains must enable technologies that allow consumers, including boomers, “to shop the way they choose to shop,” he said. A key technological capability at CVS, Eason noted, is data collection from the ExtraCare loyalty program. Tim Buskey, vice president for consumer products at AmerisourceBergen Corp., said his company has point-of-sale (P-O-S) data from 1,000 or more independent drug stores. 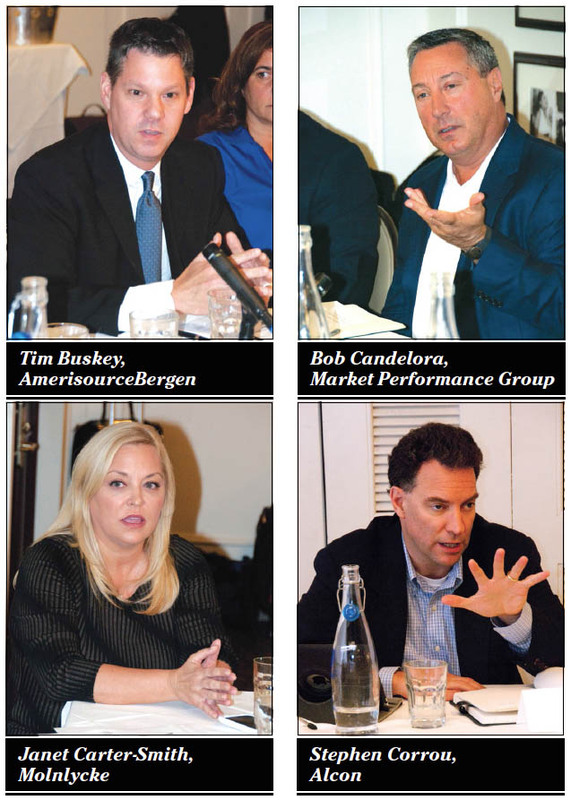 With the resulting level of sophistication, AmerisourceBergen is closely identifying its shoppers’ needs, he said. Chris Skyers, vice president of the HBC division at Wakefern Food Corp. (ShopRite), discussed the attitudes of shoppers he encountered at the Beautycon show. “This group really didn’t talk about product. They talked about feelings, and about feeling valued about their hair, and feeling wanted. It had very little to do with the brands, and more to do with being a part of something, being part of a ­community. Authenticity includes marketing, said Jamie Grace, senior director and merchandise manager at Walmart. He said he gets emails from a retailer recommending handbags “especially for you.” Errors like that push people to other retailers, he said. Everything changed with the Millennials, according to Kim Sines, senior vice president of sales at Hello Products. They are simultaneously relying on technology and getting away from synthetic ingredients, she said. MPG’s Van Howe said historically manufacturers had more sophisticated analytics than retailers, “but I feel like the world is changing.” Retailers, he noted, are increasingly harnessing the massive amounts of customer data they are collecting to drive frontline differentiation, like store-specific assortments that meet the unique needs of target consumers in specific neighborhoods or geographies. Among retailers, Sines said, Amazon is getting ready to leapfrog the competition. That’s a huge concern that raises the question of how to build access to “new, exciting, dynamic, fresh products” that Millennials want ever faster, she said. John Vayianos, vice president of sales for Profoot, said his company initiated a digital campaign about two years ago and has been very successful getting the right people from the right companies to work with it. Jeff Shirley, vice president of national accounts at iHealth, said it’s getting tougher and tougher to target consumers. But as the probiotic category continues to grow, iHealth has a significant amount scientific data with which it can target consumers and doctors. The company employs digital marketing, because more and more people want to access the research around its products, he said. “Everybody is researching everything now,” he commented. “And we found that our consumer was going to Amazon and doing research, and then in many cases they were going to the brick-and-mortar store because they wanted to hold the package. They wanted to turn it over. As far as digital is concerned, I was told recently not to try to boil the ocean — to try to do everything for everybody. 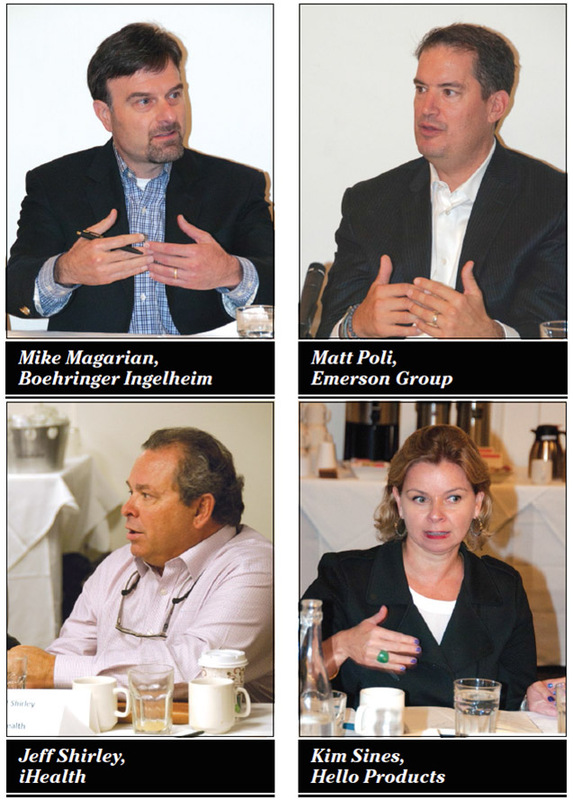 MPG’s Candelora said there’s a tendency to place e-commerce, digital and brick-and-mortar in silos. But, with the rise of the consumer economy and omnichannel retail, they all blend together, and retailer winners are going to be determined by how well they provide an integrated shopping experience for their customers. And this includes redefining the role of the store in the path to purchase. At Home Depot, for example, 42% of e-commerce orders are picked up in-store. Skyers said 80% of ShopRite’s online consumers also shop its stores. “What we’re realizing is we need our manufacturing partner’s help to better understand these consumers, as they know best because they designed the brands,” he said. Michael Law, senior director of customer strategy and planning at Edgewell Personal Care, said that shopper engagement entails understanding the path to purchase and the role of each communication element along the way. “Part of targeting the right demographics in an evolving U.S. marketplace is not just product and assortment, but understanding how to connect with them across all of the communication points,” he said. Cheri Taylor, director of retail merchandising at Kinney Drugs, said the drug chain traditionally attracted a consumer who was a woman age 55 and older. “We have recently been focusing our marketing efforts on trying to attract younger consumers as well. But it has to compete with prestige retailers as well as dollar stores on the other end of the ­spectrum. Huntley said Walgreens tries to focus on the consumer’s expectation for the chain overall “and make sure it’s reflected in all of our properties.” It’s vital to have a firm understanding of what consumers want from a retailer, she said, and to display that awareness online as well as in-store. With younger consumers online, he added, the biggest challenge is getting them on one or two platforms that McKesson, as a distributor, can fully support, as opposed to trying to manage hundreds of different setups. Duvall said Cardinal Health’s research is increasingly revealing that caregivers are active participants in health care regimens and management. “To exclude them and not understand what intrinsic values they’re looking for in the retail experience is missing part of the equation of the aging boomer, especially as they start to have medical needs. Poli said the days when families consumed their media after dinner are long gone. “Everyone sat around the sofa and watched network television, right? The reason an independent pharmacy can be competitive with a national chain is because the real differentiator for a consumer is the experience. “Maybe the digital technology that a chain offers gives me convenience and saves me time, breeding my loyalty. But the playing field has been somewhat leveled because with technology we can sit here and consume media 24 hours a day. And so that independent has the ability to understand who the consumers are in his or her trading area and the experience that they want, and communicate with them. “If there is a consumer out there who just says, ‘I want to go by price and I want a one-stop shop,’ she’s going to go to Walmart. She can get great pricing, fill a basket with all her needs, and be done. But as we look at this, it’s a question of what happens when we’re watching the Super Bowl on Facebook, because maybe in five to 10 years that will ­happen. Molnlycke vice president of O-T-C sales Janet Carter-Smith said the patient is today’s ultimate consumer. “As health care costs are rising, patients are increasingly more active participants in managing their health. Patients/shoppers are looking for transparency as they make health care descisions for themselves and their families. They’re looking for the best advice. They’re looking for where they can get their health care needs met with the best products at the best price. 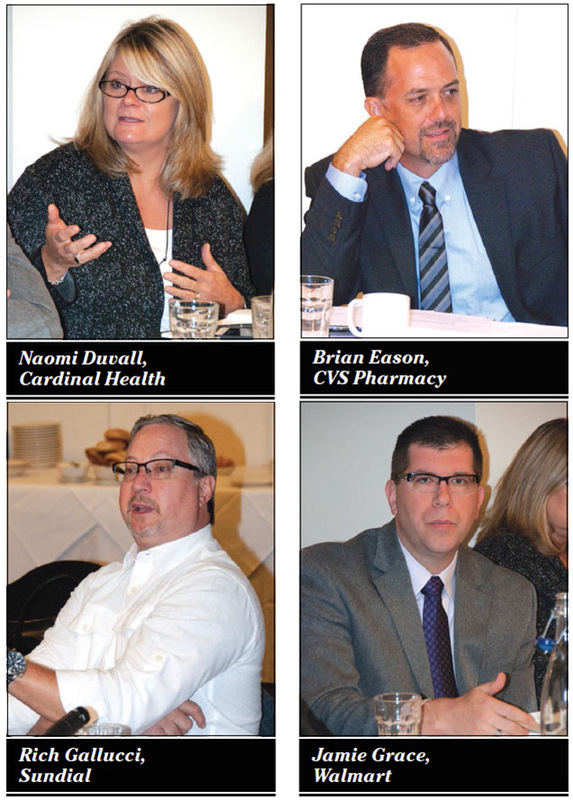 As they bear greater risk, they want greater involvement in the decision making while also demanding the best value for their health care dollar.” Pharmacists allow retailers to be “extremely focused on understanding that patient’s journey,” she said. 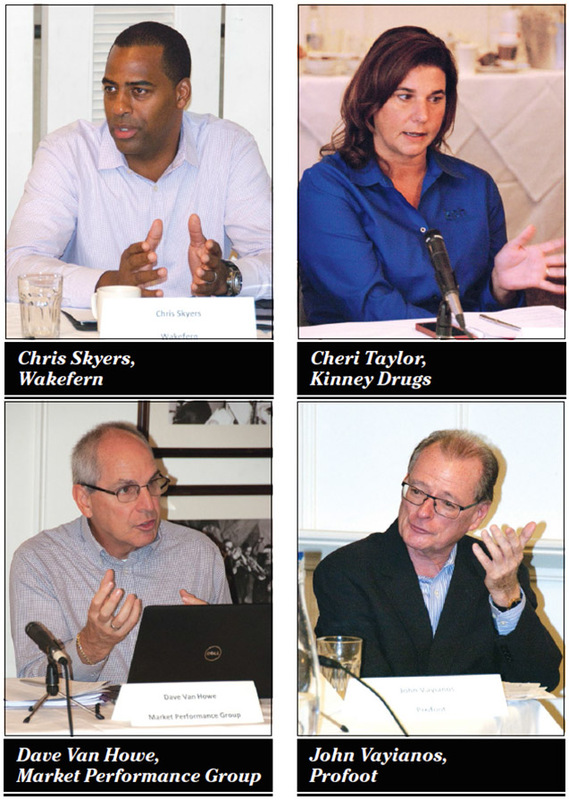 * To read the full Category Management Roundtable report, please see the Nov. 21, 2016, print edition of Chain Drug Review.